IrishAmericanJournal.com: Irish Women Activists Trilogy: Mary Harris Jones, "Mother Jones"
Irish Women Activists Trilogy: Mary Harris Jones, "Mother Jones"
(Editor's Note: The Irish, it seems, have always been involved in politics. This is almost certainly the result of 800 years of occupation and oppression in Ireland by a foreign and hostile power. 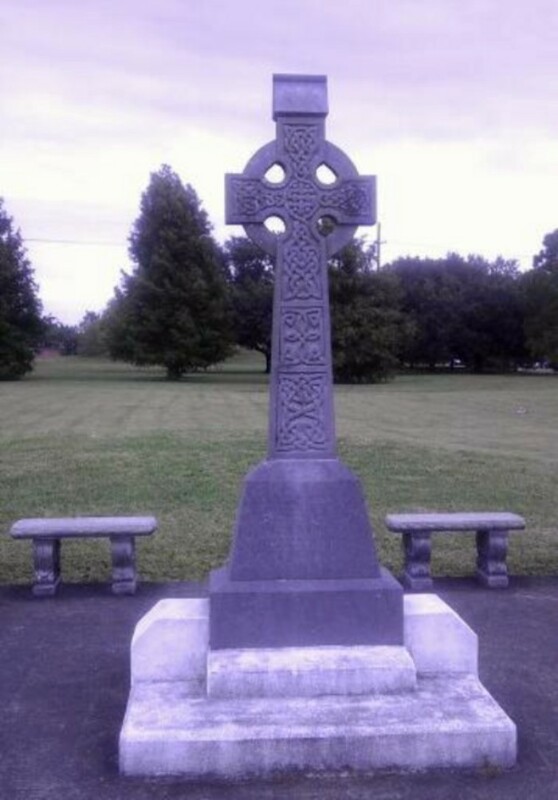 For 800 years Great Britain occupied Irish lands and oppressed Irish people, mainly for religious and ethnic reasons. But there were other reasons, including economic ones. The British exploited Ireland and its people for money and the equivalents of money. It is no wonder that the Irish produced over the centuries not just rebels for a political cause, but rebels with an economic cause. 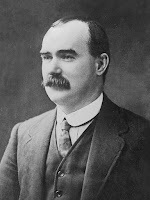 Many Irish men became famous for struggling for economic justice, not just for the Irish, but for all people. We can think of James Connolly who fought in the bloody 1916 Easter Rebellion in Dublin who also was an advocate of socialism and economic equality. But it was not just Irish men who advocated and took great risks for economic and social justice; it was also Irish women. 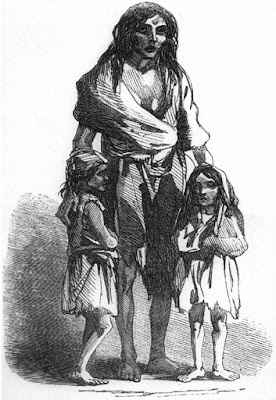 IrishAmericanJournal.com will now look at three Irish and Irish American women who took a stand against overwhelming odds and faced great difficulties to help other people in need. The next three articles, a trilogy, will be about Irish women activists and the impact they had not just on the Irish but on all people worldwide. 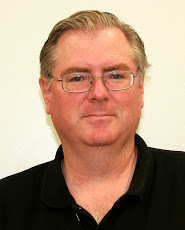 We will examine Mary Harris Jones (Mother Jones), Elizabeth Gurley Flynn, and Dorothy Day. Women have always played a major part in Irish and Irish American history. There are many more fine examples besides these three above; but it is hoped that by studying the lives of these three significant women, readers will be encouraged to learn more about the subject. Mary Harris Jones, "Mother Jones"
Mary Harris was born in the city of Cork in Ireland in 1837. In permanent exile Mary first lived in Canada and was educated in Toronto. After completing her schooling in her early 20s, she moved to Michigan and worked as a teacher in a Catholic convent school. She eventually moved on, first to Chicago and then to Memphis, TN. In 1861 she married a man named George Jones who was a labor leader. She and her husband had four children, but tragically the husband and all the children died from an epidemic of yellow fever in Memphis. Mary had abandoned teaching and began making dresses and women's clothing for a living, eventually moving back to Chicago. 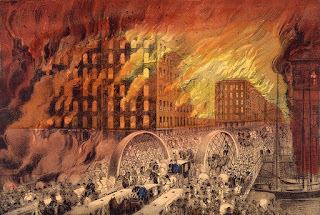 Tragedy again fell upon Mary when in 1871 the Great Chicago Fire destroyed her dress shop and home, as it destroyed much of the city. Much like the story of the Irish philanthropist in New Orleans (also discussed on this blog, see Margaret Haughery), Mary Harris Jones, instead of being destroyed by tragedy, responded by doing positive things for her community. She became a member of the Knights of Labor and advocated for fair treatment of workers. She led strikes and put herself into dangerous situations when riots occurred sometimes mixed with violence and police brutality. She eventually joined the United Mine Workers and advocated for a fair wage. It is significant to note that some labor protests at this time became very dangerous and even deadly, such as the Haymarket Riot in Chicago in 1886. 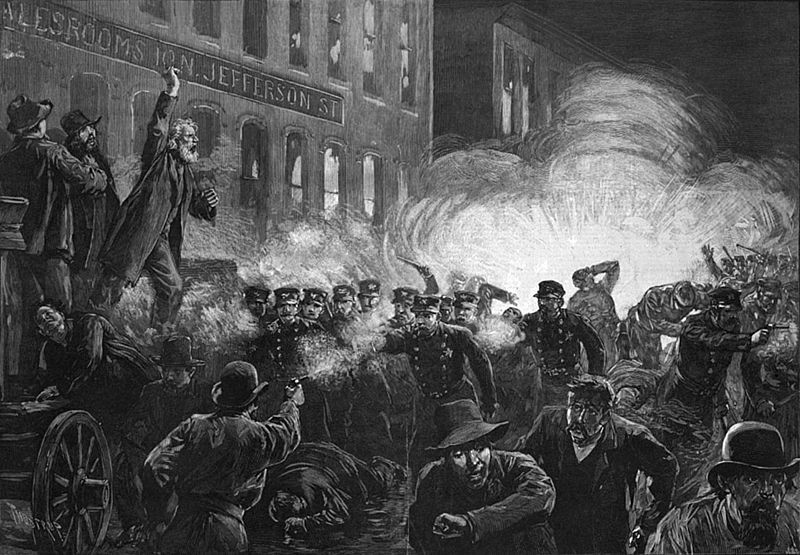 At Haymarket, Workers protested police abuse and advocated an eight-hour working day. A bomb was thrown from the crowd at the police; the police opened fire; and there were many casualties. Such was the nature of protest in those days. 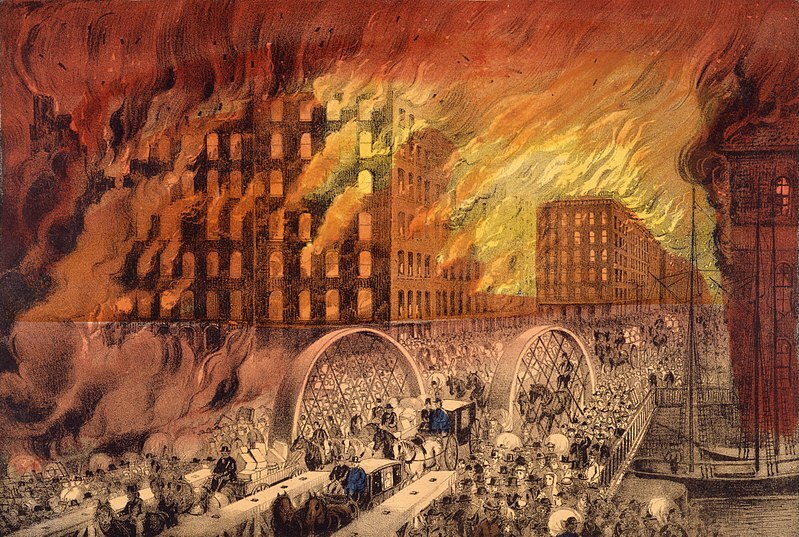 The Haymarket Riot in Chicago in 1886. 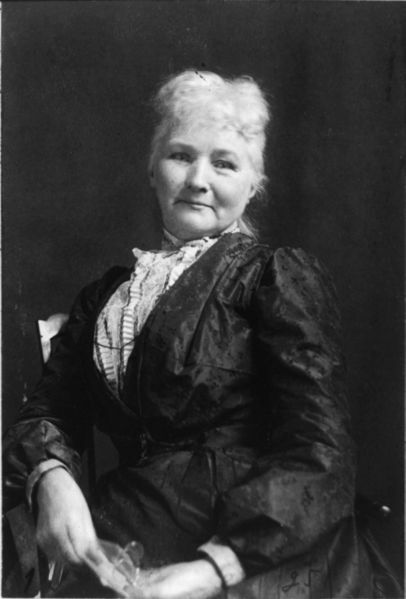 Mary Harris Jones seemed to have a philosophy of social justice which had a mixture of Christian beliefs from her Roman Catholic background (indeed, her brother became a Catholic priest) and socialism. She became active with the Socialist Party of America. She was in fact one of the first organizers of the Industrial Workers of the World, a Leftist political/economic labor organization and union. Mary would organize protests made up not just of striking men, but also of their wives and children. This made the protests very strong and persuasive. But it was also in keeping with Mary's strong belief in the importance of the family unit. The elites of society and their political representatives, of course, feared and detested Mary Harris Jones. One politician, a district attorney called Reese Blizzard, who strongly opposed Mary called her "the most dangerous woman in America." 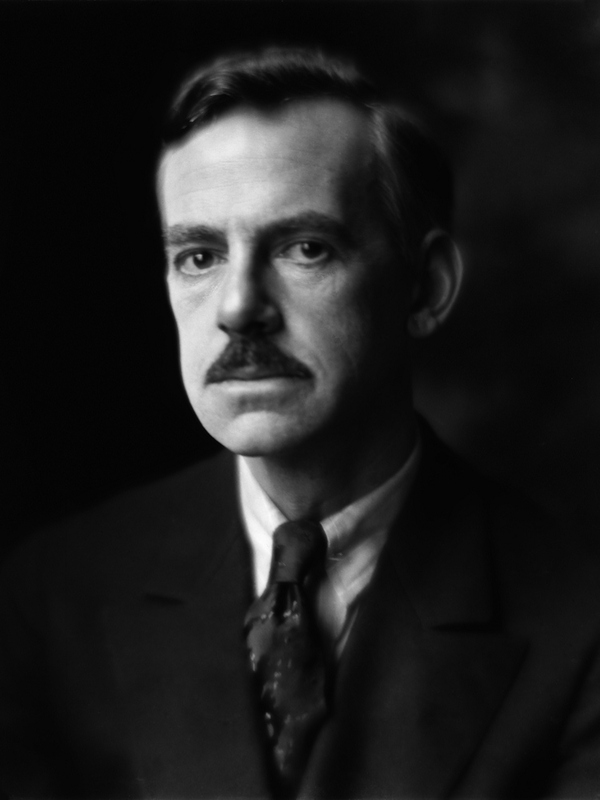 Mary was on trial in 1902 before this man after being arrested for disregarding a judicial decree which banned a strike for miners in West Virginia. Interestingly, Mary was not an advocate for the women's right to vote. Rather she stressed workers' rights and fought for laws protecting the working class -- composed of men, women, and children. Some suffragettes criticized her for not openly supporting the women's vote. 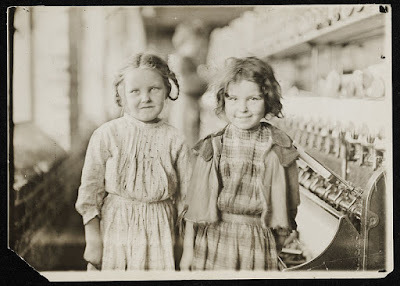 Mary, as a big supporter of the family unit, always included protecting the rights of children as well as adult workers. 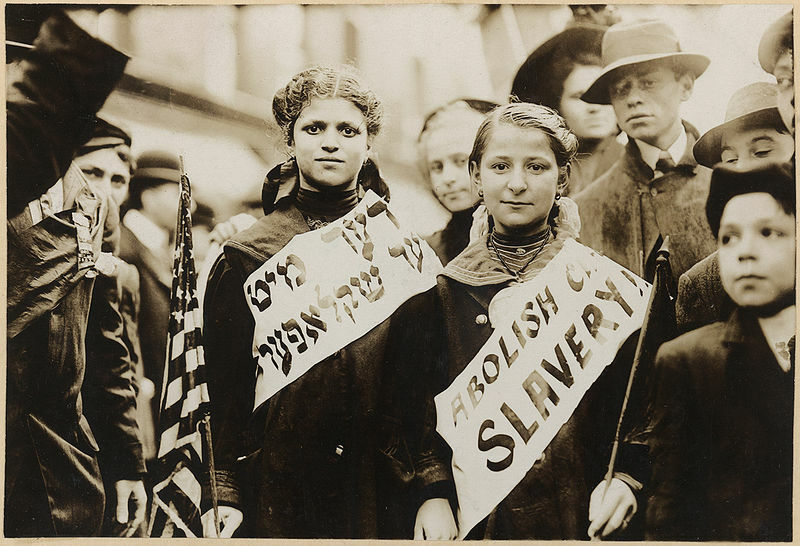 In 1903 she famously led a protest march from Philadelphia to Long Island, NY to the home of President Theodore Roosevelt to bring awareness to the problems facing working children. This was called the "march of the mill children." 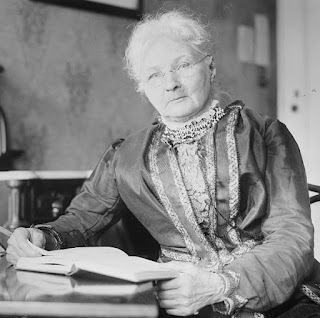 By the late 1890s, now with national and international fame, Mary Harris Jones became known openly as "Mother Jones," partly because of her age, being over 60, and her demeanor. She treated the working men she represented as a mother treated her children. 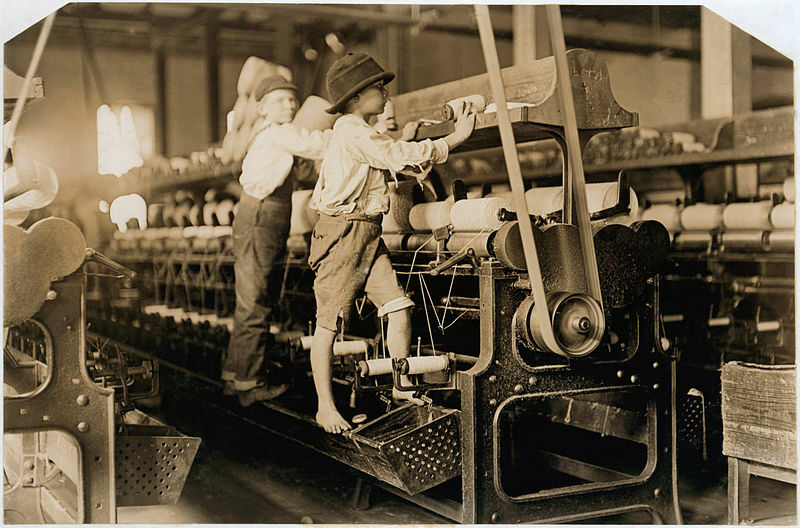 She also supported humane child labor laws which allowed for children to go to school rather than go to work at an early age. 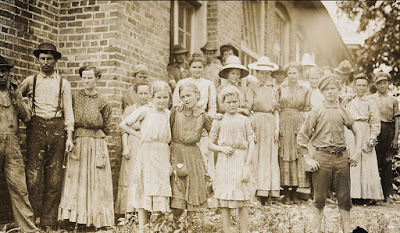 In 1912 Mary participated in a strike in West Virginia. The United Mine Workers were literally at war with a force of private security guards controlled by the mine owners. Fights and gunshots were involved. Mary was arrested and charged with attempted murder. Although she was given a long sentence from an ad hoc military court, of questionable legitimacy, she was let go after about three months. She had developed a case of pneumonia while being under arrest. This incident resulted the an investigation by the US Senate. It was common at that time for some large businesses, like coal mine companies, to hire virtually small armies of armed security guards who roughed up striking workers. 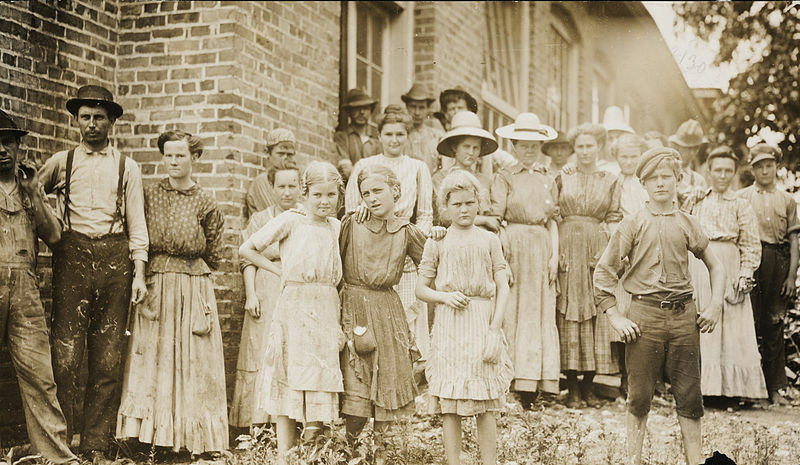 Mother Jones by this time had become a simultaneously beloved and despised well-known figure. She had been arrested time and again and appeared in court time and again because of her advocacy for social justice. She was loved by the working class and the oppressed, and she was hated by the ruling class. She was once denounced in the US Senate as the "grandmother of all agitators." Mother Jones lived an incredible life -- born in impoverished and occupied Ireland, a survivor of the Great Hunger (Great Famine) in Ireland, a woman who lost her husband and four children to an epidemic, a woman who lost her career and home to the Great Chicago Fire, and a woman denounced by powerful politicians as "a dangerous woman" and "grandmother of agitators," but a woman who was heroic, caring, and bold who significantly influenced American society and American history. As a true Irish Rebel, Mother Jones lived by her own war cry -- a mix of religious mercy from her Catholic upbringing and boldness from her troublesome Irish nature. Her motto was: "Pray for the dead and fight like Hell for the living." Mary Harris Jones, "Mother Jones," lived to be 93 years old and left a significant impact on all labor movements since her death in 1930. She is buried in the Union Miners Cemetery in Mount Olive, Illinois. Mother Jones lives on as a hero who spent her life trying to help oppressed workers and poor children and create a more civilized society. Note: There is today a magazine in the USA named Mother Jones. It is named in honor of Mary Harris Jones. See more about it here and its discussion of Mary's life and works. Sources and Further Reading: Mother Jones magazine, discussion of Mary Harris Jones' life and works; Wikipedia article on Mary Harris Jones.